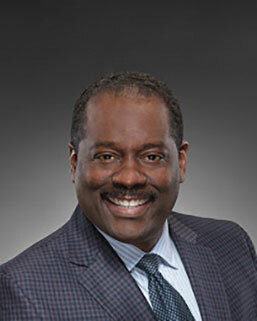 D. Hodari Brooks, M.D. has been providing orthopedic care to patients in Florida, South Carolina and Georgia since 2000. Dr. Brooks is Board Certified by the America Board of Orthopaedic Surgery. His specialties include Outpatient Total Joint Replacement, Hip Resurfacing, Medical & Surgical Treatment of Arthritis, Minimally Invasive Total Joint Replacement Surgery, Computer Assisted Surgery, Fracture Care, Sports Medicine and General Orthopaedics. Dr. Brooks is fellowship trained in Adult Reconstructive Surgery & Total Joint & Anterior (Front) Hip Replacement. Dr. Brooks believes in pursuing innovative techniques, and utilizing cutting edge products, technology and equipment in order to offer his patients state-of-the-art orthopedic care. His goal is to enable his patients to return to the active lifestyle that they were once accustomed to as soon as possible. Dr. Brooks is very active in his community. He is a strong proponent of patient education and has given numerous educational seminars in the area. Dr. Brooks also volunteers as a mentor and instructor for the Students Orthopaedic Society at Morehouse College. Dr. Brooks and his wife, AnnMarie, live in the Vinings, GA area.